They say, “nothing you wear is more important than your smile.” A great smile is remembered. It shows confidence, happiness, and fun. However, it does take a little work to keep it that way. 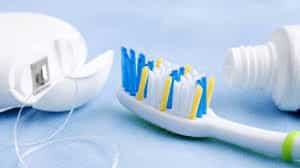 How Can I Keep My Teeth Healthy and What Can I Do to Prevent Dental Problems? Yes! It may sound silly but, you actually can over brush your teeth. Brushing too many times a day or for longer than 4 minutes at a time, could begin to wear down the enamel of your teeth. As mentioned earlier, this makes your teeth more prone to tooth decay and other problems. Top Benefits of SmilingKeeping up with your Oral Health? Your entire body will Thank You !